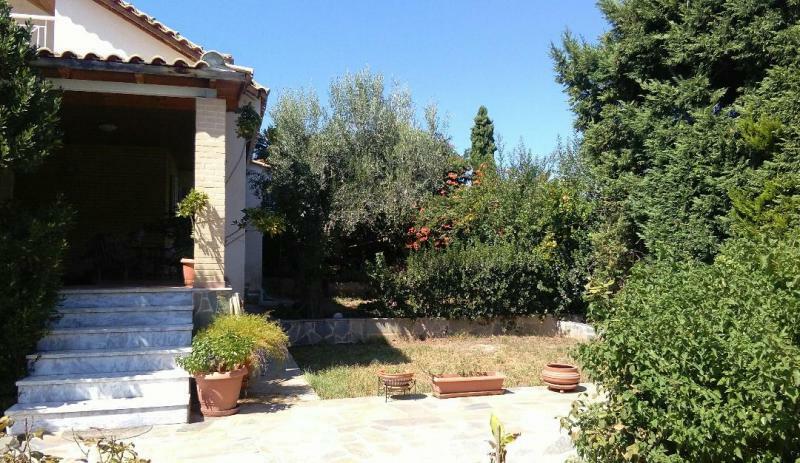 House for sale in Greece, located in “Agious Theodorous”, one of the main touristic attraction in the country. The house is located near the sea, and it is also at the mountain beam. A wonderful place to live and to rest, with a perfect climate in all four seasons. The whole area has villas and many Greek public figures reside there. The house is on sale fully equipped with furniture, an installed alarm system, acoustic isolation, thermo-isolated, hydro-isolated, aluminium windows of the best quality with double glass. The house has two floors. 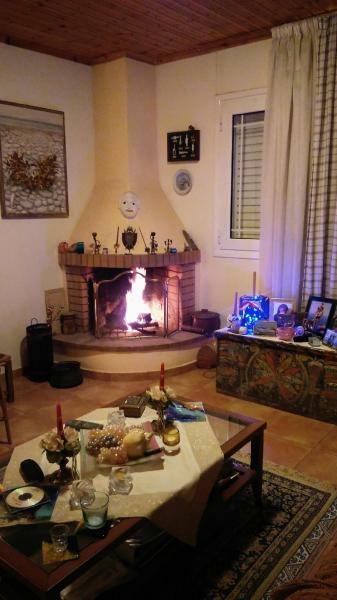 In the ground floor the main living room is located, and it also has a fireplace, a fully equipped kitchen, a toilet and other useful facilities. Meanwhile the second floor at the moment is a atelier (because of the profession of the owner who is a painter) and also a bedroom. 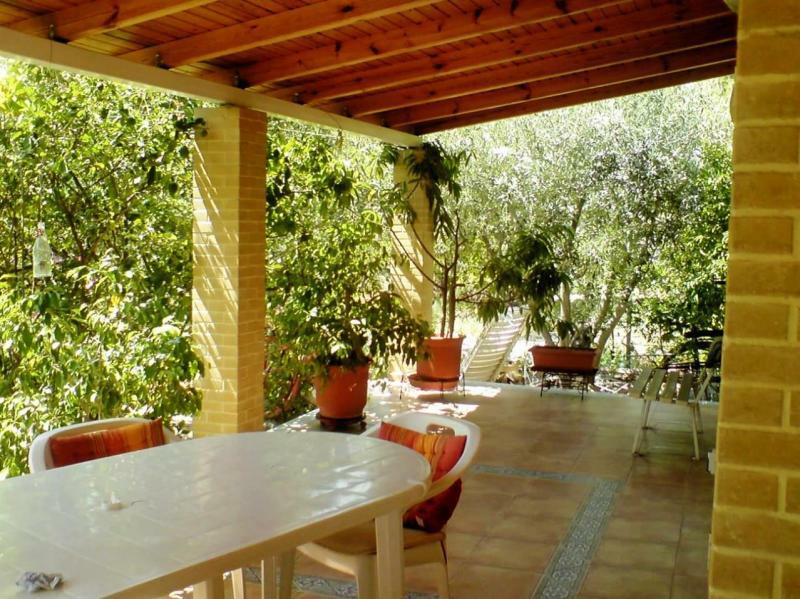 The garden is surrounded by decorative trees over 4 meters tall (older than 20 years old) and also by olive trees (older than 100 years old), 3 lemon trees, 3 orange trees and one mandarin tree. The land of the garden is rich and it is able to cultivate there any kind of tree and vegetable, which will allow you to plant bio products in your own garden. The estate is located 65 km away from Athens, which is only 35 minutes of commuting from the city. The estate is 20 km away from Korinthos, or 10 minutes away. Also the thermal waters of Loutraki, famous for their healing effect are only 20 km away. Across the coastal area where the house is located many islands that are touristic destination are located such as Poros, Aigina, Agistri etc. that can be easily visited by boat. The place is an ideal estate at the seaside in one of the best and most touristic beach areas in Europe. The Broker and the current owner of the estate will be at the buyers disposal for a full year after the purchase, to facilitate settling down, contact with third parties in the area and to help managing the estate in the most sensible and economical way possible.